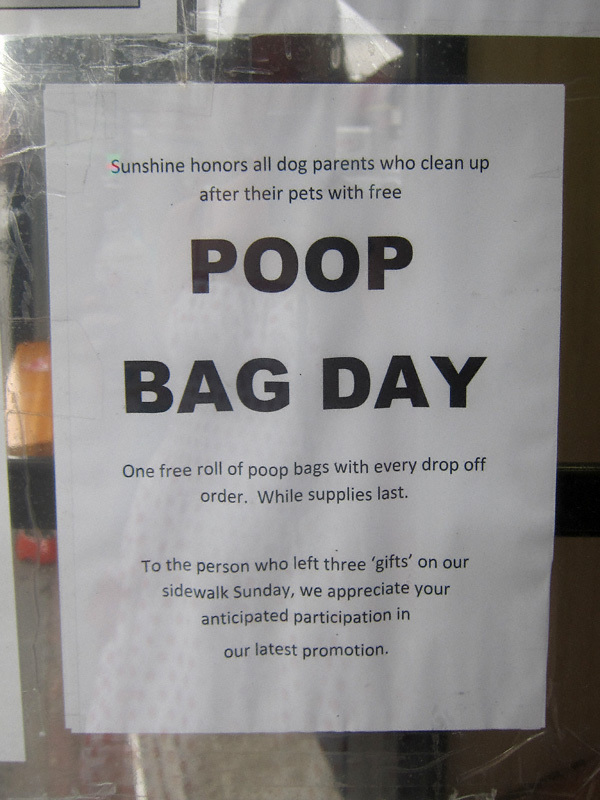 Now At Sunshine Laundromat: Poop Bag Day! 3 Comments on Now At Sunshine Laundromat: Poop Bag Day! I have laundry machines in my place but I think I’m going to start going to Sunshine just because of these awesome signs. These guys are hilarious. I’m really liking them as well. I actually make it a point to walk on that side of the street just to catch their latest missives!